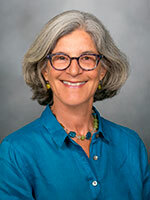 Lisa Croen, PhD, is a senior research scientist at the Division of Research (DOR), Kaiser Permanente Northern California (KPNC), and the director of the Kaiser Permanente Autism Research Program. Her research interests include the epidemiology of autism and other neurodevelopmental disorders, environmental exposures and gene/environment interaction, and adverse perinatal outcomes. Currently, Dr. Croen is the principal investigator of the NIH-funded Early Markers for Autism study (EMA), and site principal investigator on two large federally funded autism studies: the Study to Explore Early Development (SEED) and the Early Autism Risk Longitudinal Investigation (EARLI). She is also co-investigator on the California Autism Twins Study (CATS). In collaboration with clinical colleagues, she is conducting a mixed methods study to evaluate autism treatments at KPNC, and investigating health status and healthcare utilization of adults with autism. Dr. Croen received her master's degree in public health and her doctorate in epidemiology, both from the University of California, Berkeley. ​This study will utilize the Pregnancy Cohort from the Kaiser Permanente Northern California Research Program on Genes, Environment and Health to characterize the maternal immune profile over pregnancy and evaluate whether there are specific longitudinal patterns that are associated with neurodevelopmental outcomes in the offspring. The project will identify factors that are associated with longitudinal patterns of maternal immune markers over pregnancy and examine whether there is variability in risk factors across different neurodevelopmental outcomes. Factors to be examined include maternal demographic, lifestyle, clinical, and genetic factors. One of the greatest challenges in autism treatment is how to bridge the health care science-to-service gap and address disparities in access to evidence-based early intervention for children with autism spectrum disorder. This project will establish a new interdisciplinary network of eight institutions to blend implementation and clinical effectiveness research designs, with an overarching aim to study the individual and combined effects of three intervention components: 1) Infusing mobile technology for professional development and family education using the Autism Navigator collection of web-based courses and tools; 2) Engaging families to access resources and support when they first learn their child has autism spectrum disorder, using a brief engagement intervention by community healthcare workers as family navigators to accelerate access to care; and 3) Coaching families to embed evidence-based intervention strategies in everyday activities using the Early Social Interaction Parent Coaching model to improve outcomes for toddlers with autism spectrum disorder. Nat Commun. 2017 Oct 24;8(1):1011. Epub 2017-10-24. Hum Mol Genet. 2017 Oct 15;26(20):4067-4085. J Autism Dev Disord. 2017 Jul 26. J Steroid Biochem Mol Biol. 2016 Nov 18. Environ Res. 2015 Nov 20;144(Pt A):139-148. Epub 2015-11-20. J Autism Dev Disord. 2015 Jul;45(7):1989-96. Int J Epidemiol. 2015 Apr 14. Autism. 2014 May;18(4):447-57. Epub 2013-03-27. J Autism Dev Disord. 2013 Sep;43(9):2026-37. J Neuroimmunol. 2008 Nov 15;204(1-2):149-53. Annu Rev Public Health. 2007;28:235-58. Birth Defects Res A Clin Mol Teratol. 2006 Oct;76(10):718-22. Environ Health Perspect. 2006 Sep;114(9):1438-44. Environ Health Perspect. 2006 Jul;114(7):1119-25. Ment Retard Dev Disabil Res Rev. 2004;10(4):292-302. Am J Med Genet. 2002 Feb 15;108(1):75-7.